Drop In Classes - Signing up ahead of time is recommended, but not required. Space is on a first-come-first-serve basis. You can sign up ahead of time on our App, website, phone or in person. Latin Classes - All Intro courses will require pre-registration (Intro to Argentine Tango, Intro to Salsa, Intro to Bachata). You can sign up ahead of time on our App, website, phone or in person. All higher levels do not require pre registration, however, Latin classes move in a progressive manner and signing up for a consistent time period is recommended. As a new student, to enroll in any class higher than the Intro courses, you will need to be approved by an instructor during a free Level Assesment. Once your level is confirmed, you can take any class in your level or below. Beginner Courses and Special Workshops - Pre registration is required. These courses have limited availability and often wait-lists. You can sign up ahead of time on our App, website, phone or in person. What if I never taken a dance class before? We welcome all beginner dancers and have classes designed just for you! Our Absolute Beginners (AB) classes are designed for those students who have little or no training in that specific style of dance. We recommend you start at these levels and progress to higher level classes the more comfortable you become. Classes that do not have a level specification are good for all levels, including beginner dancers. Please be aware that your instructor reserves the right to refuse your participation in class if they feel the level is too high for you. 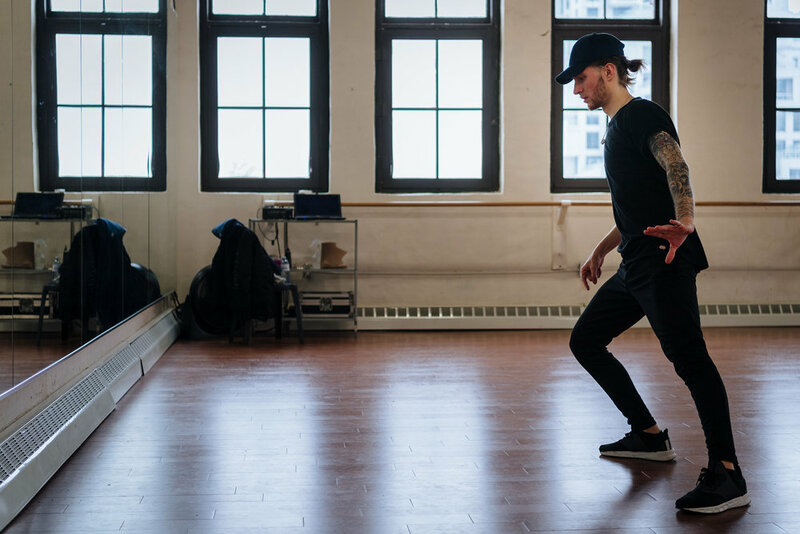 We want you to be safe and learn in a healthy atmosphere, and sometimes jumping to a level that is too high may result in injury and disruptions for other dancers in class. New students, start your journey here. Do I need a partner for Latin Dance Classes? Latin classes are a great way to meet new people, because signing up with a partner is not required. You will get paired up with other classmates and frequent partner rotations will help you develop your skills and experience dancing with different partners. We do not allow students into class 15 min after the start time of the class. This is to ensure you attend proper warm up to avoid injury, and to not disrupt the other students in class. We ask all students to arrive 15 - 20 min before classes start to give yourself enough time to prepare for class. We do not have lockers, and therefore, we allow for small personal belongings to come in to the studio with you. We have shelves and cubbies in each studio so that belongings stay off the floor. We do have showers in the change rooms and washroom. Please bring your own towels and soaps. Dress code depends on class type and is usually listed in the class description in the schedule. We enforce a strict No Outdoor Shoes policy to keep our dance floors clean and safe. If it's snowing or raining, wet shoes will not be allowed on the dance floor. We have a great in-studio store where you can purchase dance shoes, Latin heels, leotards, tights, yoga pants, leg warmers and more. Shop dance wear. What type of shoes do I wear for class and where can I get them? It is important that you come to class prepared with the proper footwear. We enforce a NO OUTDOOR SHOES policy on our dance floors. Latin Dance class: For ladies, heels with a strap around the ankle are preferred unless you never wear heels. Then a smooth soled shoe for men and women will do. No flip-flop sandals, or thick rubber soled shoes, these shoes can cause injury. Hip Hop/Breakdance: Indoor or clean running shoes/sneakers. Jazz/Ballet/Ballet Boot Camp, Power Barre Classes: Soft jazz slippers, ballet slippers, bare foot, or non slip socks are best. Remember for these classes you must be able to point and flex your feet easily. We sell Jazz, Ballet and Latin Dance Shoes at City Dance Corps. We offer a selection of sizes and colours, from kids to adults. Please arrive 20 minutes before your class if you would like to purchase shoes. You will have one of our staff members available to size you properly. How large are the classes and what is the general age range? At City Dance Corps, quality surpasses quantity. Class sizes vary on the dance style and studio space and we limit spaces to offer comfortable and personable teaching/learning environments. Our Drop In Classes, Latin Classes and Courses are for ages 18+ and our Youth Program is for ages 1 - 17. Dancers who are between 16 - 17 can attend adult classes with a parental consent form obtained from our reception desk. Acceptable payment types are CASH, DEBIT, VISA, MC, DEBIT/VISA cards. We do not accept cheque, e-transfer, or American Express. You can pay for classes on our secure website, on the City Dance Corps App or in person. Private lessons can be taken in any style of dance with your instructor of choice. Fill out the private lesson request form or email us at info@citydancecorps.com to set up one-on-one sessions. We do our best to accommodate your schedule. There is a Green P parking lot on Augusta Ave just north of Queen St and west of Spadina Ave. There is plenty of meter parking on Queen St, Richmond St, except between the hours of 3pm-7pm. There is also meter parking on Camden St, Cameron St and free parking on Augusta Ave before midnight. Want to know how to get to the studio or have questions about our Youth classes, Marketing or Events and Corporate Bookings? Head to Hours & Directions.